EVRY Lands 7-Year Deal Worth $77 Million. Entrepreneur features how Xsolla helps Fortnite game developers get paid. Lendio recognized as a great place to work for third consecutive year. AlphaPoint, facilitates issuance of digital pound sterling for London Block Exchange, a multi-cryptocurrency exchange. Klarna enters global opportunity with Clas Ohlson partnership. Atom Bank partners with Thought Machine. Xsolla’s payment-gateway comes with advanced analytics and reporting tools, as well as advanced antifraud and chargeback management. The technology can be used by online merchants looking to make it easier for consumers to make transactions in the manner and currency of their choice. Xsolla believes this flexibility is critical, pointing out that enabling consumers to transact in local currencies increases engagement which can lead to higher revenues for both small businesses and their bank partners. 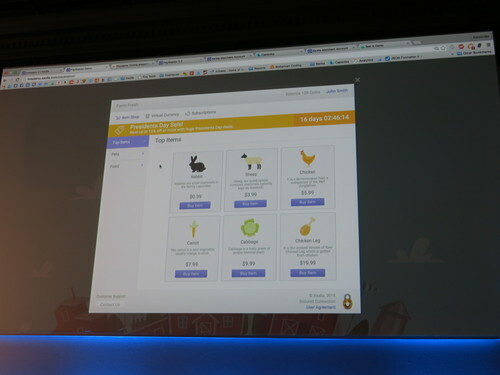 Users choose a country and coverage, or have them selected automatically. Some advanced users of the platform may transact in one set of currencies, yet want payouts in an entirely different set of currencies. Seksembaeva points out that this kind of functionality within larger payment gateways has been available for years, and now with Xsolla, these options are available to small and medium-sized merchants as well. Banks and clients alike have access to the platform’s analytic and reporting dashboard, a 24/7 analytics suite that helps merchants monitor and manage the “flow and health of their business.” Users can see all transactions made on the platform, the volume of sales, taxes if applicable, payout amounts and types, and review fees, courtesy of detailed reports on each payment method. The bank workspace, Semsekbaeva points out, is not just a “big-data analytics solution capable of producing customized reports” but a resource that allows FIs to communicate directly with clients. It can be used for cross-selling; marketing credit lines for SMEs; as well as handling complex offers from merchants and other vendors. Xsolla has been busy making friends in the weeks and months since its Finovate debut in London in February. The company announced partnerships with Ubisoft and CipSoft in April, following a string of successful deals from late 2014. Teaming up with other platforms in the spring has led to sales increases of more than 30% and significant gains in conversion rates from PayPal, credit cards, and other payment methods. 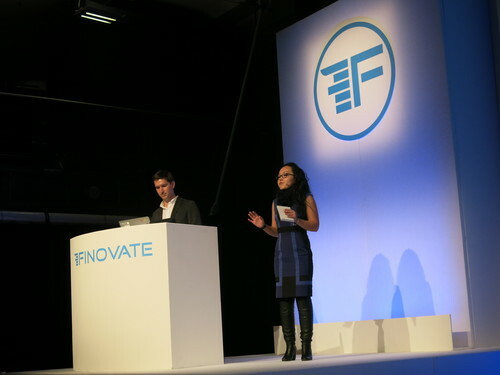 Above: Xsolla Business Development Manager Aiman Seksembaeva presented at FinovateEurope 2015. The key will be convincing FIs that Xsolla, which already has a strong presence in the world of online gaming, is making a real commitment to helping banks provide a range of options for their small business clients looking for variety in payment options. Xsolla , the company behind one of the most advanced billing platforms for online gaming, has brought its technology to the world of e-commerce payments. Game developers are a technologically advanced and very demanding customer. High expectations of gaming companies encouraged Xsolla to create the most advanced payment system on the e-commerce market. With extensive relationships with payment providers like PayPal and Amazon, and services for AAA game companies like Valve, Nexon, Crytek, and Changyou, Xsolla is demoing its white-label, customizable billing-platform for banks. Metrics: Xsolla was founded in 2006; today it employs 170 people. Xsolla has offices in U.S.A., Brazil, Russia, Ukraine, Korea, and a number of financial centers.